Artists showed up early the day before like the email we received said we could, and people had to wait 4 hours or so for them to put tables out. Tables were moved twice because of the fire marshal. (So I picked a good spot and came back in the morning to my stuff being behind a big pole. Killed sales pretty badly.) Artists were told they could come setup Saturday morning, but there were no tables left for them. I was told they told them to go home and they'd get a refund, but some of the people who decided to stay were setup in the hallway outside the event. There weren't enough chairs to go around, so inside the venue, we all had one chair per table. The hallway artists had none I hear. Badges came with no lanyards, which itself isn't really a big deal, but I was told that there were lanyards visibly there at pick-up, but people were told "NO LANYARDS!" Only staff/vendors/etc had badges at this con, so I don't get that at all. Anyway, big disorganized mess this year. Barely saw any staff walking around either, which I don't appreciate with how rough this whole thing was run. 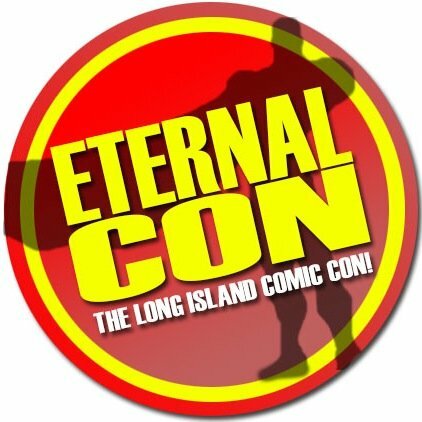 Only do it if you're local, since Long Island has little to offer for conventions otherwise. My most successful con yet. both days of the weekends were packed!. Friday is a half day so it was a little more relaxed. Only thing I'd complain about is that there weren't enough chairs. I got 3 tickets and they only gave me one , upon asking at the door they said they didn't have enough. Luckily I had an extra chair in the car. People were taking the chairs of other artists tables that hadn't set up yet. The artist alley space was really nice and had a lot of traffic since the celebrities were on the third floor and you had to go pass trough the alley to get to the stairs. it can be difficult to move during peak hours due to the small spaces. Definitely give it a shot, tables in the alley are $175, for a 2 and a half day con with a 10k+ attendance is pretty great!